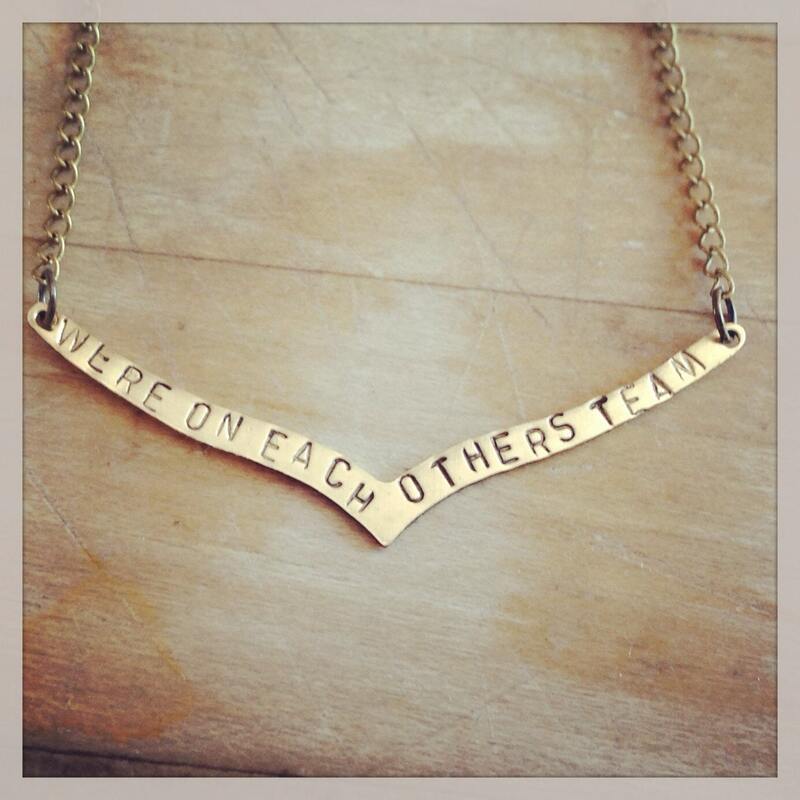 This necklace features a brass chevron pendant with Were on each other's team hand stamped. Comes with 19in. Chain.